Samsung has finally launched its latest flagship phones with more options and features than ever. 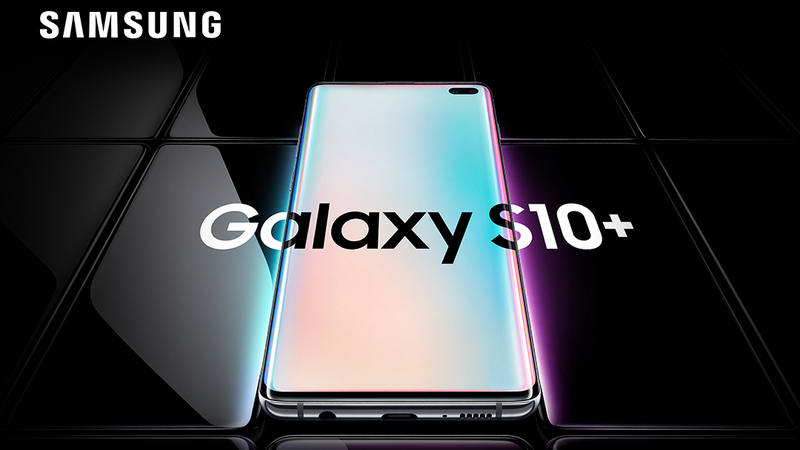 The Samsung Galaxy S10 lineup includes the two familiar flagships-the S10 and S10+. The new addition to the flagship lineup is the new more affordable S10e. 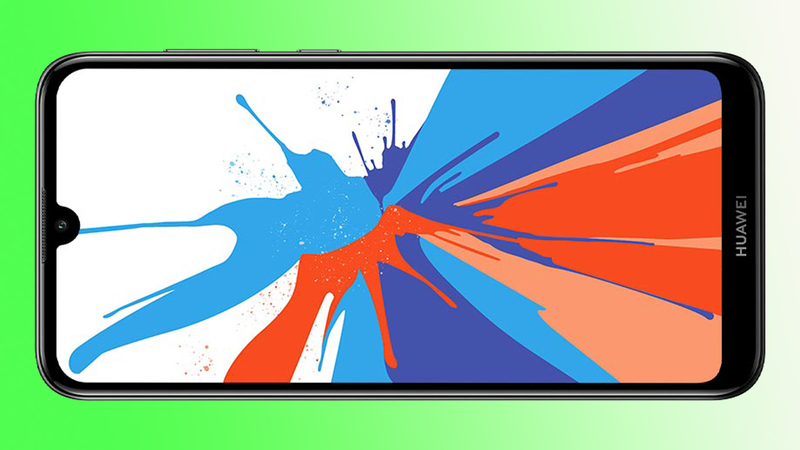 The phone is an obvious answer to the budget iPhone XR launched recently by Apple. 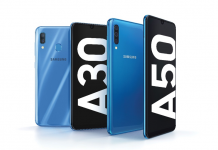 One other phone launched is the S10 5G that is less appealing as a mainstream product but still provides unique features. Due to many similarities and differences between these models, let’s go through the feature lists one by one for all the phones. 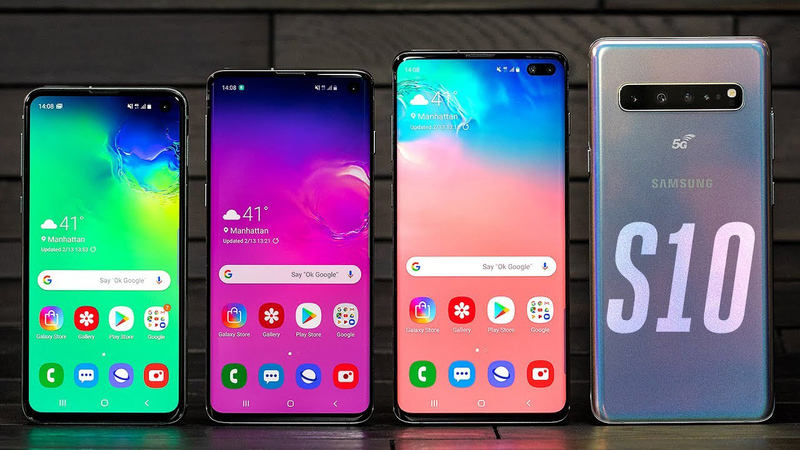 The Samsung Galaxy S10 5G has the largest display sized at 6.7-inch with the other phones following with smaller screens. The budget S10e has the smallest screen at 5.8-inch. 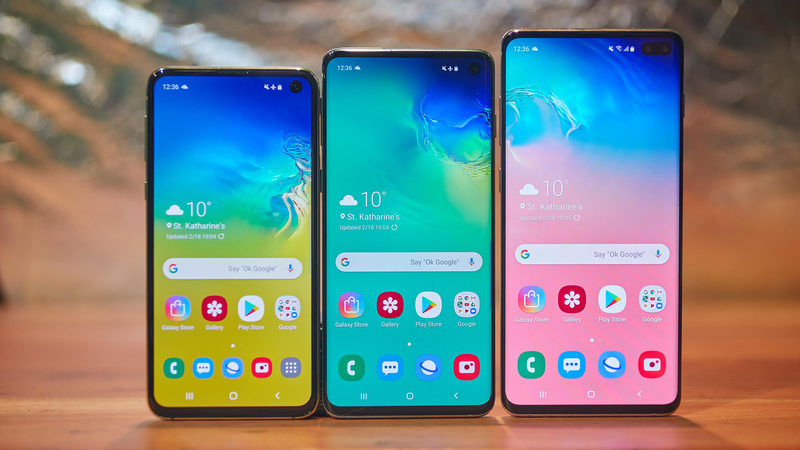 While the S10 and S10+ have larger 6.1-inch and 6.4-inch display with curved edges respectively. The S10e, on the other hand, lacks the seamless curved edges. This is the obvious compromise for the budget phone. However, the S10e still has a FULL HD screen with a surprising 438ppi pixel density. All the phones have a punch-hole design as a substitute for the notch. Samsung hasn’t crippled the cheaper S10e in the performance department. All the S10 phones have the latest Snapdragon 855 or Exynos 9820 processors. The SoC that comes with the phones varies based on the region of sales. S10e comes with a 6GB or 8GB RAM variant while the S10 comes with 8GB RAM and 128GB or 512GB variant. 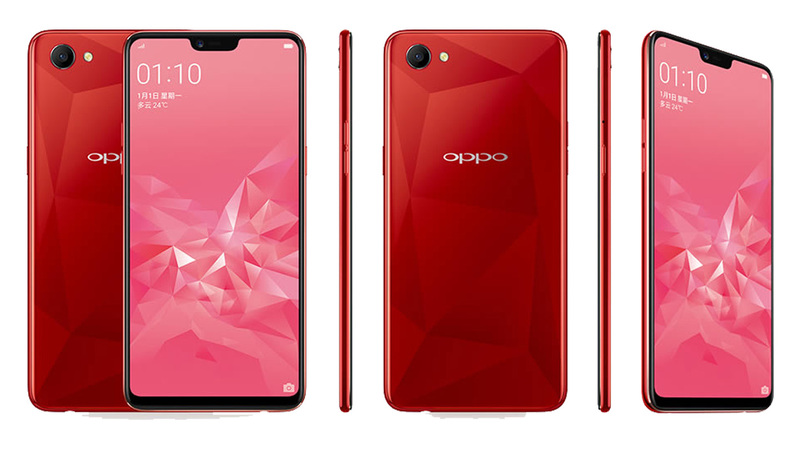 The S10+ has two variants with 8GB and 12GB RAM options, while the S10 5G only has 8GB RAM option and 256GB storage with no support for micro SD card. The S10, S10+, and S10 5G have similar camera specs. The main camera on the three expensive phones has triple camera sensors at the back. There’s the 12MP f/1.5-2.4 variable aperture main sensor, the 16MP wide-angle lens with 12mm focal length and a 12MP 52mm telephoto lens for easy optical zooms. 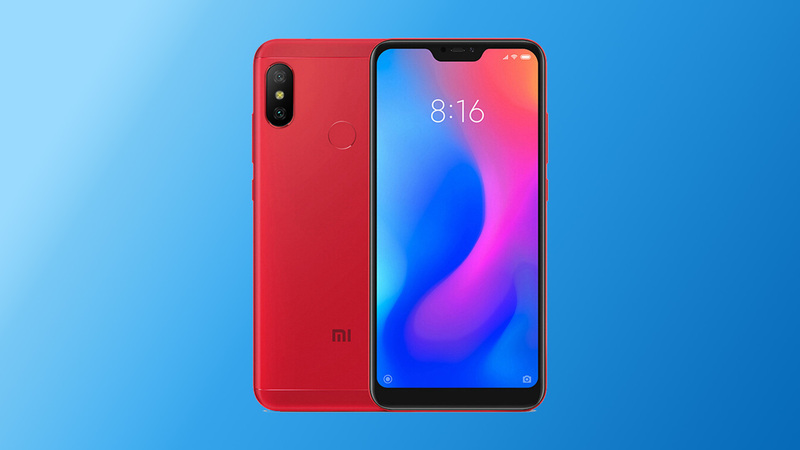 S10e, on the other hand, has a dual camera set up at the back with the same 12MP main sensor and a 16MP wide-angle camera sensor with the exception of the telephoto sensor. Similarly, for selfies, S10+ has two cameras at the front. The main sensor is specced at 10MP, f/1.9 aperture accompanied by an 8MP secondary sensor. All the other phones have a 10MP selfie camera, at the front. On the software side, Samsung has done a complete overhaul with its new One UI that runs on top of Android 9.0 Pie. The new interface looks less bloated and simpler to use compared to Samsung’s older UI. 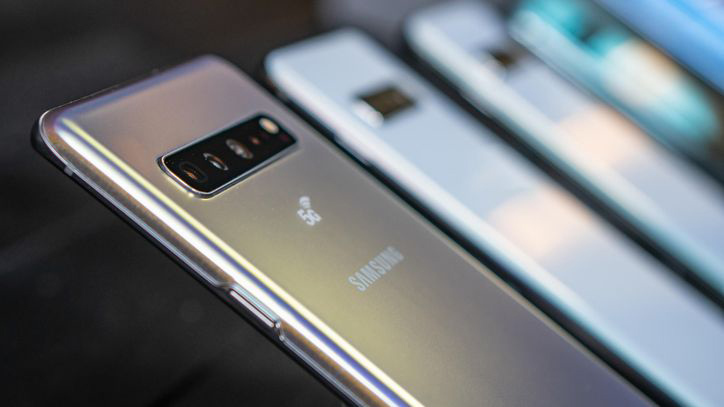 Overall, these 4 phones provide an option to the consumers on how much they want to spend on a Galaxy S10. The base model of the S10e starts at $750 while the regular S10 will cost you $900. The S10+, on the other hand, will cost you a whopping $1000 for the same. We are yet unknown about the pricing of the S10 5G but we expect it to be high due to the support for 5G technology. 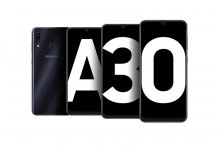 The S10e, S10, and the S10+ will soon be available for pre-order. While the S10 5G will not be available until later this year! Thank you for reading! For more interesting and informative news like this, like our Facebook page and subscribe to our Youtube channel. And also, if you have any questions, please feel free to ask them in the comments section down below. 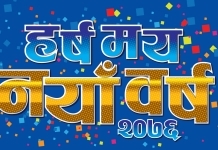 We will answer them as soon as possible.